The goal of the No Kill movement in the United States is to achieve a time when no healthy or treatable animal is killed in a shelter, and the definition of animals that are healthy or treatable does not currently extend to vicious or violent animals who may be a threat to their communities. It is estimated that in most communities a save rate of around 95% is achievable, the remaining 5% consisting of animals with massive behavioral problems and animals who are severely sick or injured with a very poor prognosis for recovery for whom euthanasia is an appropriate and merciful choice. As the practice of animal hospice gains traction, even those animals who are terminally ill are beginning to have a place to go as well as volunteers step up to take them into their homes and provide palliative care for animals in the last stages of their lives, when their condition is terminal but euthanasia is not yet an appropriate choice. I have no doubt that No Kill will one day - soon - become the norm in American animal sheltering. Even now, as the word spreads about what is possible and what has been done in cities across the US, animal lovers everywhere are demanding changes in their local shelters and that change is beginning to happen. As No Kill communities pop up around the US, more shelters stuck in the antiquated mode of catch-and-kill will be hounded by their constituencies to change and evolve, to get with the times, to step up their game. I believe the change to be not only inevitable, I think that it will come much sooner than most believe to be possible. Which has me looking to the future and to the 5%, to the animals that no one that I know of has yet found a solution for: the animals, nearly all dogs, with behavioral problems severe enough to prevent their release into the community. As it was once the norm to kill all but the most perfect (the "adopt the best, kill the rest" model), as it is even now common practice - but changing quickly - to kill the old and the sick, even when No Kill comes to fruition it will still be the norm to kill these animals who are healthy and capable of happy lives, and my hope is that one day that too will change. Most of my background is not in traditional shelters but in sanctuaries, and it has been my pleasure to meet, work with, and care for many dogs whom even I could not support adopting out - but I love them and care for them and try to give them the best lives possible in the sanctuaries in which they live. Given a stable and predictable environment, nearly all are capable of leading happy lives and can be worked with by many dog-savvy people who are willing to take the time to get to know them. 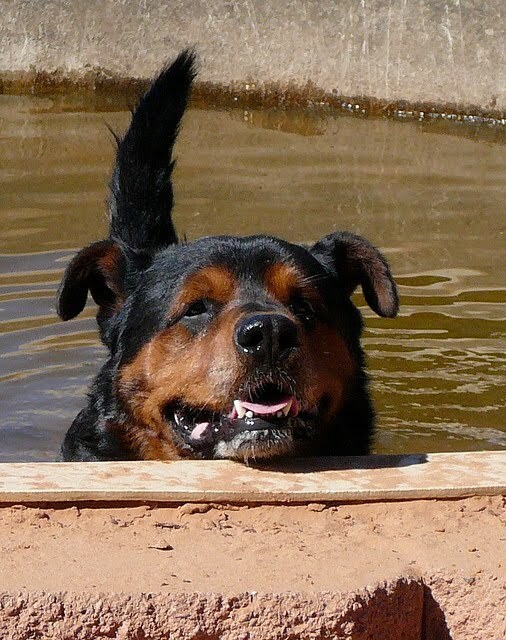 Even most dogs who have done terrible things in the past, animals with long and storied bite records, can be handled safely and mostly normally in the right environment with people who are accustomed to reading their body language - and most of these dogs will improve by leaps and bounds, given the chance, as they build positive relationships with people. In a traditional, relatively high-volume shelter these animals would take the most resources. They need specialized and flexible environments, more skilled personnel to care for them, careful risk management. It is because of this that they are the last in line and because of this that resources must be used to save the more savable first. I have yet to hear a practical solution for these animals, but I'm going to keep looking - it's wonderful to envision a Best Friends-style sanctuary setup operating in partnership with every shelter but I'm not sure that is feasible. In cities that setup would need to be quite large; my guesstimate is that a sanctuary in a community the size of Washoe County NV would require the capacity to house 1500 - 2000 animals. No Kill was once thought to be impossible; this too is a solvable problem. What's your idea? I see a future for these dogs, too. One of my best canine friends is one who I believe was dangerous for most of her life, due to being extremely dog aggressive. She was well-managed and never had an incident. Now she's very old, half-blind, half-deaf, a cancer survivor, and has some balance problems, i.e., not a danger to any man or beast! I love her. People just need to care! I've seen it go both ways. I requested the euthanasia of a young vital dog who killed some of my livestock and injured other dogs and livestock. I didn't trust myself to manage him properly. I also have rescued several feral dogs, one which was labeled "dangerous." She's still with me. Her biggest crime is that she's brilliant. We can have whatever we are willing to work toward. With much needed law changes and acceptance, miracles do happen. Calgary is an astounding achievement and quite possibly the safest place in North America to be a homeless animal... but they don't have a solution that I know of for the 5%.